Ever Wondered About Subjects Taught at Mystery Schools? What is Taught at Mystery Schools? Mystery Schools specialize in teaching a variety of occult subjects including metaphysics, magick, alchemy, transformation, spiritual awakening, intuition, and energy healing. 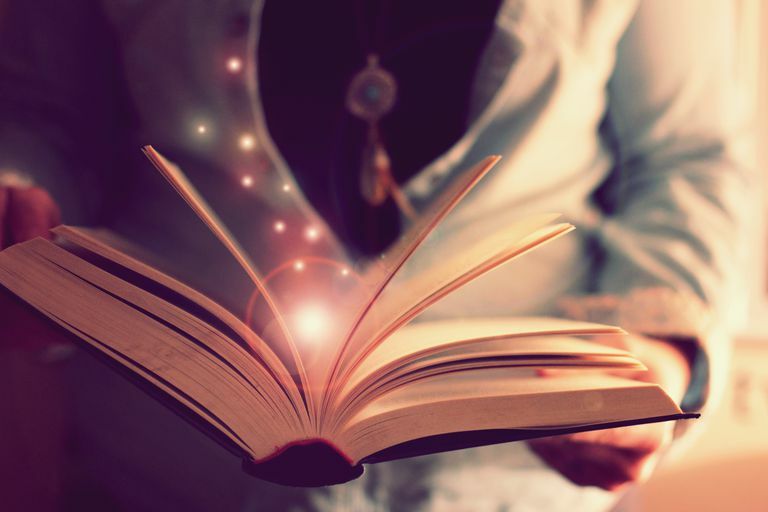 Home study programs on various metaphysical subjects such as Basic Metaphysics, Master of Magickal Studies, Elemental Alchemy, Oracle Training, and Wicca. Ancient Wisdom for Modern Times - Amarjah Mystery School is about uncovering truth in a holographic format. Practices included yoga, meditation, tai chi, dance and Socratic dialogues. Lectures range from quantum physics, archetypes, myth, poetry and esoteric aspects of religion. The classes cross many cultures, myths, and esoteric studies. Located in Western North Carolina. Teaches students how to live a soul-centered life style through experiential learning. Subjects include quantum physics, Noetic science, and modern psychology. Holistic, spiritual healing through working with the human energy field or aura. "The College was founded 125 years ago by a group of eminent scholars and scientists. Its purpose was to facilitate formal investigation into the psychic and mediumistic phenomena that were such a topic of debate in the Victoria era.In the intervening period, the nature of our work has evolved to incorporate the more general exploration of a consciousness beyond matter. The core of our studies retains a strong focus on the development and understanding of mediumship, psychic ability, and healing – as well as the growing capacity of science to explain and explore these phenomena." This Web site offers an introduction to "A Course in Miracles" and provides an Internet doorway to information for people interested in learning more about the course and perhaps undertaking to study it. This Celtic Mystery School offers email correspondence courses on a variety of subjects including Celtic magic, Celtic gods and goddesses, divinity, connecting with the Fae, shamanic journeying, herbal healing, aura viewing, guided visualizations, Law of Attraction exercises, use of symbols and tools and lots more. The 13 Healing Moons of the Great Turtle Mystery School is dedicated to the evolution of human beings to a higher consciousness and enlightenment. Teachings focused on self-discovery. Douglas E. Harding developed awareness exercises / experiments whose purpose is to help us re-discover who we are. "Two schools are conducted each year, one located at Garrison Institute, an old, picturesque monastery on the Hudson River just outside New York, and the other held at the Institute for Noetic Sciences (IONS), a spectacular school located on the green rolling hills of Petaluma, California." Healing courses available here include: Healing The Emotional Spiritual Body, Creative Music Therapy, Wilderness and Adventure Therapy........much more! "Nine master teachers bring the wisdom of the Celtic, tribal African, Native American, Sufi, esoteric Christian, Hindu, Taoist, Hawaiian Huna, and Tibetan Buddhist traditions." "The mission of Pacific College is to educate and inspire students to become compassionate, skilled providers of patient-centered healthcare using traditional East Asian and integrative medicine." Ancient Wisdom Tours specializes in offering unique touring opportunities combining places of power and spiritual significance with leading scholars and researchers of Ancient Technology and Secret Sciences. Toltec Mystery School provides a place for individuals to learn and apply spiritual principles to their lives while connecting with others who lead by example. Mark Cohen offers seminars and retreats in holistic healing, earth mysteries and kabbalistic meditation. He is also the founder of the Pneemah Planetary Network for Earth Energy Medicine & Angelic Healing. Offers variety of correspondence courses aligned with discovering your "light within." "The Wild Rose College of Natural Healing was conceived through a series of workshops held in Calgary, Alberta by Terry Willard, Ph.D. in 1975, and is now a center for both the casual and the serious student to learn a broad range of therapies, techniques and natural health concepts. Our emphasis is on the wholism of the individual - the integration of the body, mind and spirit." Whatever you are seeking, if your spiritual journey had led you to 'Delphi' you will be 'home.' For those who understand 'home' no other explanation need be spoken. You will change on a cellular level from the wisdom gained by studying with the Masters at Delphi. The teachings of the ancient Mystery Schools are brought to manifestation in this time and place. Your world will become a universe to be explored without hesitation or limits. I can imagine no other experience more profound, more enveloping, more awakening, more sincere, more magnificent than what was begun for me at Delphi. Whatever paths you have been guided to travel you will be amazed beyond anything previously encountered. You will 'Know' home – you will Be 'Home. Studies I've taken include In-Depth Channeling, Advanced Channeling, Color and Sound Healing, The Healing Mysteries. Awarded Certifications as a Metaphysician Practitioner, Color and Sound Healer, Spiritual Healer. Biggest Take Away: The growth and wisdoms gained are ongoing and ever evolving on a daily basis. Delphi's Metaphysician Curriculum is a comprehensive journey of self discovery and specific modalities to use to help others on their path of Light. The entry level course, In Depth Channeling, in one week's time can illustrate to the student the remarkable abilities each one of us has within us. Then there are 3 more levels of coursework, Metaphysician Practitioner, Master Metaphysician, and Doctorate of Metaphysical Healing.Each level has 3 courses and is self contained and progressive. Completion of each level enables the student to go out into their respective lives and share these gifts with others and to continue their own journey of expansion and healing. Delphi's Metaphysical Curriculum is well thought out, well planned, and well staffed. Staff members are loving, skilled and committed to assisting all students to mastery of the curriculum and self discovery of their own abilities and blocks. Every class was revealing, informative and expanded my mind. The atmosphere at Delphi was supportive and nurturing while taking classes. Housing and food were outstanding. Each time, arriving for a new class, it felt like I was going home. The grounds are sacred and beautiful. Biggest Take Away: LIFE CHANGING EXPERIENCE -There is absolutely no other way to phrase it. It takes courage, trust, and a knowing to attend Delphi. Take the first class, then pause, ask, if you should continue, and the answer will come. You learn to trust your inner guidance, you will discover your heart, and be free. I love Delphi. I would recommend it if you are interested in metaphysical studies. The first class - In Depth Channeling - is the best. I could not wait to come back a second time. I began noticing that one great teacher smelled like alcohol but still was excellent. The last class I took this last year one of the directors seemed to be under the influence of something and went on to say that President Obama was about Luciferian energy and he lectured about politics. He also got into the 2012 propaganda and some visions about destruction. Totally contrary to what this school was teaching the first class of love and light. Apprehensive of returning now. Biggest Take Away: Enhanced mediumship and healing skills. I made some incredible lifetime friends. Testimonial Review of Delphi University by Rev. Janice Sinisi, MhD. There is no “mystery” at Delphi University. Through learning and doing, whether your working on your partner doing a healing treatment, or deep in a meditation by yourself, you know that Spirit is alive and well within you. In just a few short years, the amazing staff of teachers and helpers at Delphi University have taught me more than I learned in 20 years of studying and searching for my own personal Truth and healing. The questions so often asked such as; “Why am I here”? “What is my purpose in life”? “How can I heal myself and others”? “What is The Source of all that is? are answered with clarity leaving oneself with purposeful direction going forward in our daily lives. My life has evolved experientially and amazingly and Delphi University has transformed my life forever as well as the lives of my family and friends. As a Doctor in Metaphysics and a Rohun Therapist, receiving my education through Delphi, I have had the opportunity to work on patients and witness miracles. Patient’s lives are forever transformed through the healing treatments, counseling and teaching that I conduct. Rohun Therapy, a deep psychological therapy that accesses the subconscious mind, is immediate. In just a few sessions, we can accomplish results that take years to accomplish in traditional therapy. There is no greater work than the helping and healing of others. Delphi University is located in the beautiful Blue Ridge Mountains of Georgia. Upon arrival your first impression is “I’m home.” The owners, directors and teachers are the most loving, caring and knowledgeable people on the planet. They are dedicated to teaching, uplifting and empowering others. There is no better place to pursue your studies than Delphi University. Each class brings you further and deeper into yourself. Your clair- senses, clairaudience, clairsentience, clairvoyance are attuned and sharpened. Through cleansing and purification of self you are better able to bring clarity and healing to others. Biggest Take Away: I've learned who I am and what I am. I understand and feel, on a soul level, my connection to the Source of All That Is. I know that healing is possible for all who seek it. Mentally, emotionally, physically and spiritually I am strong, balanced and passionate about helping and healing others. The courses that Delphi offers are extremely comprehensive and useful not only for the seasoned Spiritual Practitioner but for anyone seeking spiritual and holistic wellness. Whether the student implements the practices for use with others or whether it is a personal journey, what you are left with is the knowledge, wisdom, and total comprehension of who you are and the importance of your role on this earth plane. The teachers and staff at Delphi are exceptionally qualified to assist and support all your needs, not a single student is left unattended; everyone receives equal amounts of attention and focus. The classes are small enough that your needs are met and large enough for you to participate in every aspect of what is being presented. The curriculums are innovative and challenge you to be at your best. All of the work and classes offered at Delphi far exceeded my expectations and then some. As an active Spiritual Practitioner, I would highly recommend any of the certifications and/or degree programs Delphi has to offer. I have implemented all my lessons into my spiritual practice and business with outstanding results. What I learned at Delphi resides deep within my soul - a permanent fixture. There is a reason that anyone who attends Delphi University for Spiritual Studies cannot wait to return; it is like going home. Delphi University is a vortex of unconditional love and light. If you are a practicing spiritual light worker, or are just beginning to explore a spiritual lifestyle Delphi should be your starting place. The education you receive prepares you for an enlightening journey; you will discover your true spiritual presence. Delphi will illuminate your path - whatever that path maybe. During my time (3 weeks) at Delphi, I studied the entire Metaphysician Practitioner Program and earned certifications in: Spiritual Counseling, In-Depth Channeling, Advanced Channeling, Mysteries of Color and Sound Healing, and Healing Mysteries. Biggest Take Away: To live in my heart, to live a practiced spiritual life, and to be all that I can be for those needing my assistant, to always be at my highest and best, and finally to honor and love myself above all else. In 2006 my husband, Bob Delahunt, and I began our journey at Delphi University. We would consider ourselves, spiritually educated and well versed in the subjects of alternative therapies, ancient cultural topics etc. We began our studies for one reason, to learn a certain healing modality, Brazilian light Energization. We had no idea that it was part of a program and would require us to study all of the metaphysical program. All we knew going in was how beautiful the healing was and we wanted to learn how to do such sacred healing work. After coming to Delphi we quickly learned that this was not just a place to take classes learning A B C and then go home. There is spirit in the work, there is love in the teaching and there is home in the school. By the time our first class had ended we felt more balanced, harmonious, whole, and in touch with source energy than either of us had ever experienced in our lives. It is an honor and a privilege to say that we now do give Brazilian Light Energerizations session and I have begun the Rohun Studies. I cannot say enough good things about Delphi and our experience really. I had my apprehensions when we first went because we owned a metaphysical store and so we had taught so much about spiritual things and healing that it is hard for us to find teachings that are new to us and engaging. I am glad that we didn’t feed into that thought because it is one of the single most meaningful things I have ever done and has opened my practice in many avenues. We have been truly blessed and would recommend Delphi for those who are just beginning and those well traveled. Biggest Take Away: I am spirit in the form of matter, I am connected to all, and love is the way through life's hardest moments. Delphi University is a spiritual school that offer both metaphysical and RoHun (transpersonal psychology) programs from beginner to doctorate level. Each student can take the course at their own pace. highly recommend this school for anybody who wants to have a better, happier, more balanced life, or to any alternative healing practitioners. This is not a school of any religious decree, but a school where we learn deeper understanding about ourselves, our Higher Self and all the people around us. It is a school where we learn to be whole, and complete individual being. When we help ourselves, we also help to ease the suffering of the world. This is a school where we are awakened of who we are, where we learn to know about our true purpose on earth. I gain so much wisdom, understanding, love, happiness and freedom from the courses that I took. Delphi University is a school where we learn not just healing others but ourselves too. I never experience such unconditional love until I came to this school. It is a school of learning how to heal and to be independent in our own energy, and our own Light within. It is a school where I learned to heal a whole complete system of mental, emotional, spiritual, and physical bodies and integrated each body to work in perfect harmony. My studies: Inner Sanctuary Training, channelling, past lives regression, psychometry, Color & Sound, Brazilian Healing, Yhandi Inner Child, RoHun, Mystery Soul Logo, Male and Female, Spiritual Anatomy, Ancient Mystery, Blood Cleanse, Reflective Etheric healing, and Complete Holistic Healing. Biggest Take Away: I am completely changed to be a free individual being. I wake up each morning looking forward to serve God. I become more efficient in my healing services. I pass on my knowledge and wisdom to my clients, family, and friends which also helps them to be wiser, healthier, and happier individuals.